Ceramics are the primary functional material class in various abrasives and tools. 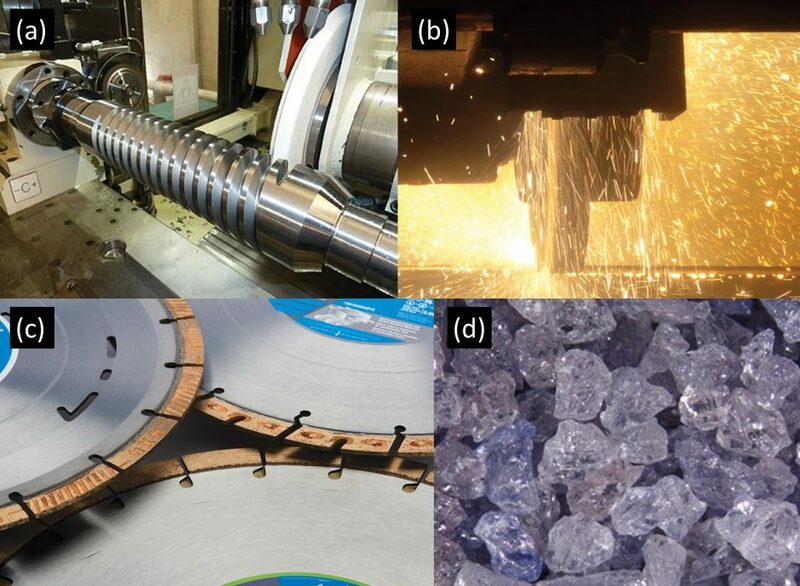 Although the ceramic constituents are frequently subjected to intense high-strain-rate (HSR) mechanical stresses in high-speed grinding and cutting processes (Fig. 1a, 1b), HSR mechanical characteristics of the abrasive ceramics (Fig. 1d) have not been investigated in depth, primarily due to a lack of microscopic HSR testing methods. Since Lee group has the unique capability to study microscopic HSR characteristics of materials using the laser-induced projectile impact test (LIPIT) technique, an experimental approach to investigate the HSR dynamics of the abrasive materials is envisioned.